Batteries allow a homeowner to capture and store excess solar energy produced during the day and use it at night. They also offer energy security as you can be protected from brown-outs and black-outs. A battery system allows you to maximise your solar at all times of the day while using the grid as a back-up energy source. Click on a brand to find out more about our battery storage solutions. Cola Solar have been installing battery storage systems for residential use since 2016 and in that time have helped hundreds of homeowners improve their energy independence. The latest generation of solar batteries available in Australia are more affordable, look amazing, are very safe and efficient and require minimal maintenance. Best of all our battery storage solutions are quiet and discreet, while working in the background for you. And when you need it the most, you are free to utilise this valuable solar-generated electricity around the clock. 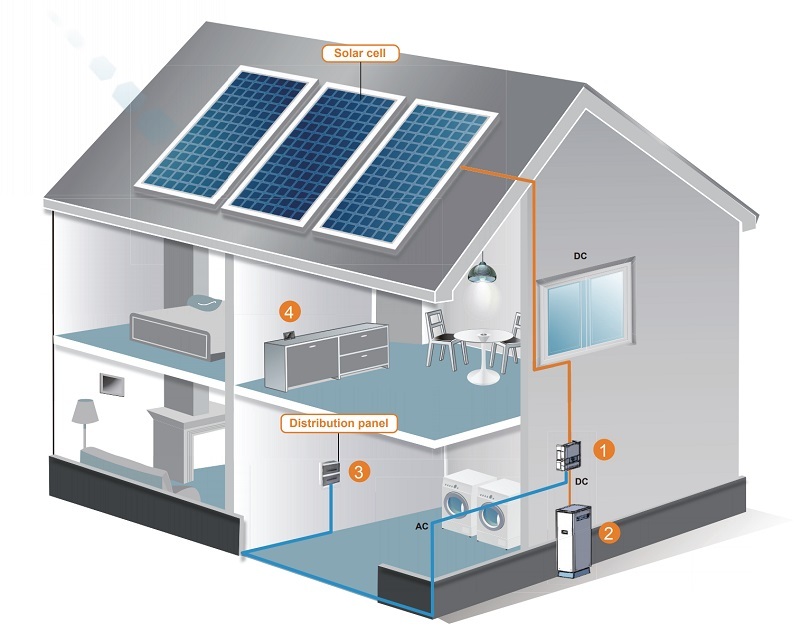 What are the benefits of a battery storage system? You can store the solar power your capture to use whenever required, making you more self-sufficient and less dependent on the grid. Blackouts can be a major issue for some people, and batteries can protect against this, allowing you to continue using electricity when there is no power coming from the grid. How many types of batteries does Cola Solar install? Our company currently provides three brands of batteries: Tesla Powerwall 2, LG Chem and BYD batteries. In most situations, the battery will only take a couple of hours to install on your property. Can I get the battery installed anywhere? We recommend installing all batteries in a covered area such as a garage. You may install it outside but direct sun can cause it to heat, hence only east or south facing would work in the outdoors. It is also ideal for the battery to be close to the electricity switchboard. Battery storage took a big jump forward in 2017, with the construction of the world’s biggest lithium-ion battery in South Australia and the announcement of the Snowy 2.0 pumped hydro expansion. Focusing specifically on household battery storage, more than 20,000 systems were installed in Australia in 2017, up 300% from the previous year. In addition, 12 per cent of the 172,000 PV installations included a battery, more than double the number in 2016. This brings the cumulative tally to 28,000 battery systems installed across Australia.